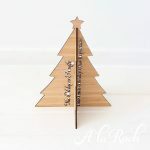 This Christmas plaque is the perfect addition for your home. The plaque measures 18cm wide and 18cm high. The wall hanging comes with a matching twine ready to hang. 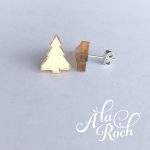 À la Roch creations are cut from high quality 4mm bamboo. The price is for a single family name. If you would like a customized bauble please use the contact form for a quote. Wall hangins are not toys and should be kept out of reach of children. 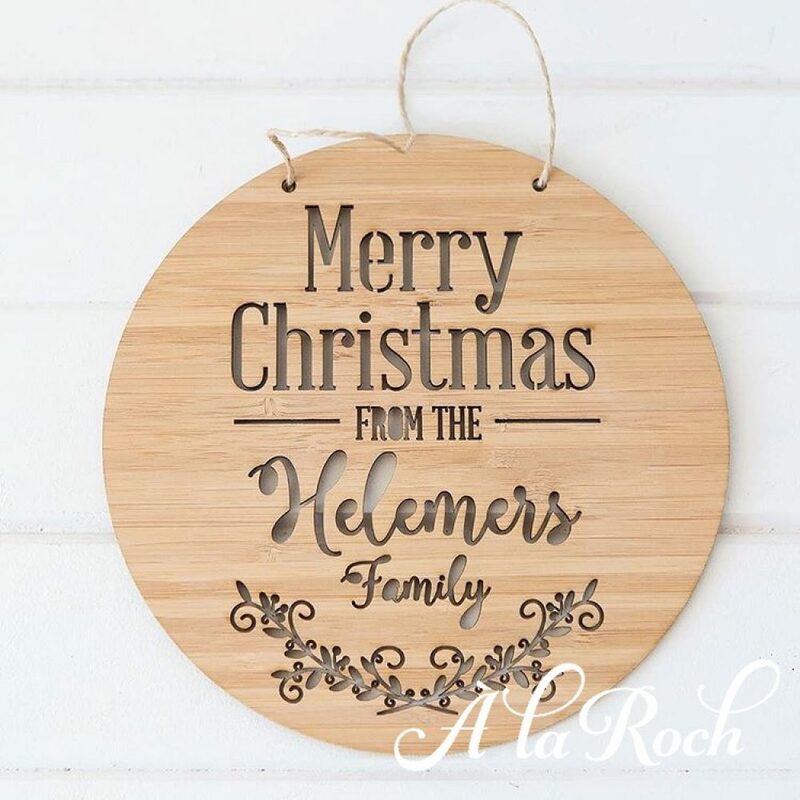 These plaques are Australian made and are posted Australia wide and internationally.